Derrick was born on Nov 22, 1959 in Philadelphia, PA. He attended the Philadelphia public school system graduating from Strawberry Mansion JR/SR High School in 1977. He then attended Mansfield St College and graduated with a BS Degree in Education Specializing in Special Education in 1982. After graduating from Mansfield, Derrick became a teacher and coach in Suffolk, VA for three years and then moved to Arlington, VA where he continued his teaching and coaching for another six years. Derrick then left the teaching field for a career in Insurance and Financial Services. Derrick has over 29 years of experience in the Life Insurance and Financial Service industry with many of the largest and most successful companies such as New York Life, Allstate, Kemper, American General, Allianz,Old Line Life, Pacific Life and many others. Derrick finds tremendous personal satisfaction in helping his clients take a long-term perspective of their financial goals. Life Insurance, Retirement Planning, College Funding and other important financial goals are achieved through carefully thought out strategies. 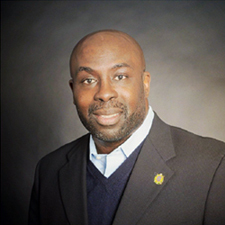 Derrick began his career in the Financial Service Industry with New York Life and three years later moved to Franklin Life Insurance Co in Maryland. In 1991 Derrick moved back to the Philadelphia and began working with Philadelphia Financial Advisors in the Philadelphia School District providing Tax-Sheltered Annuities/ Retirement Plans to their Employees and Teachers. In 1995 Derrick then started The Billups Group to provide Insurance and Financial services to individuals, families and small businesses. In 2000 The Billups Group merged with Metis Advisors in Mt. Laurel, NJ providing Insurance and Investment products to individuals and small businesses. Since 2004 The Billups Group has continued its quest to provide professional and quality financial services to individuals, families and businesses. 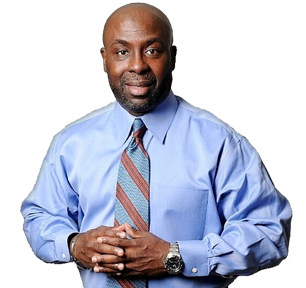 In 2011 Derrick founded the Foundation for Financial Fitness,Inc a nj non-profit which specializes in college funding strategies, student money management, insurance and financial services, classes, workshops, conferences and seminars. During that time Derrick partnered with Consumer Credit Counseling Services to provide classes and workshops to their clients. Though Derrick has continued to work in the financial services industry over the years he has also continued working with young adults as a teacher, coach, mentor, referee and advisor. His passion to inform and encourage youth comes from his early years as a teacher and coach. Over the past 20 years while continuing to provide financial services and expanding his business Derrick has counseled many high school students and their parents as a site supervisor for the SAT Testing Program. Derrick has been married for 30 years with three adult children.